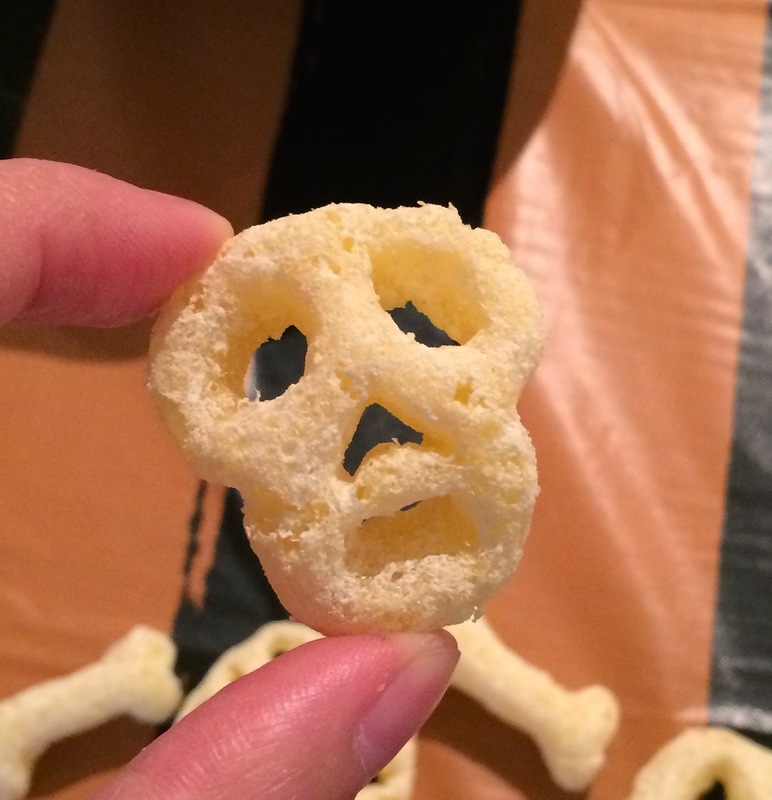 When we're shopping for Halloween goods and snacks, we found a unique Cheetos. 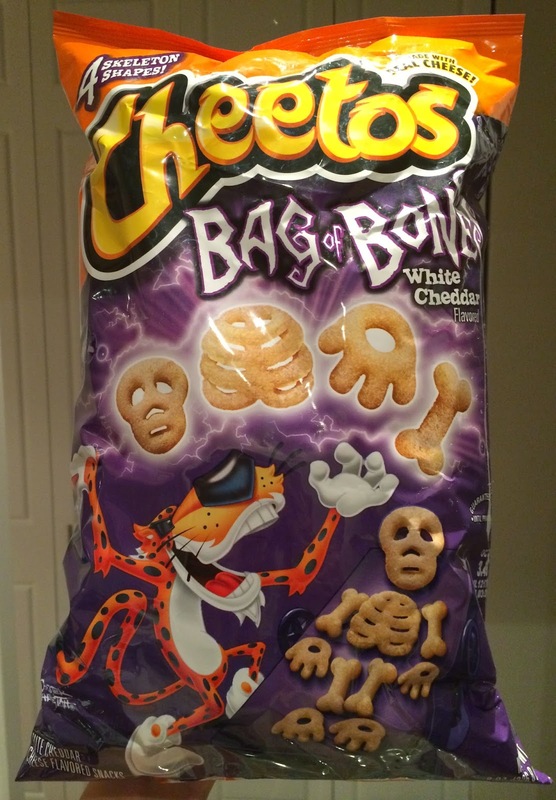 It's called "Cheetos Bag of Bones" with white cheddar cheese flavor. 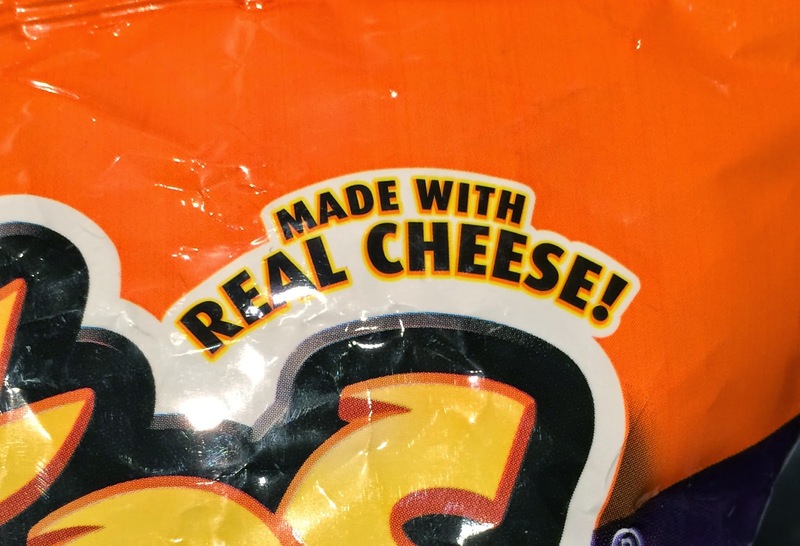 On the right top, it says "made with real cheese!" 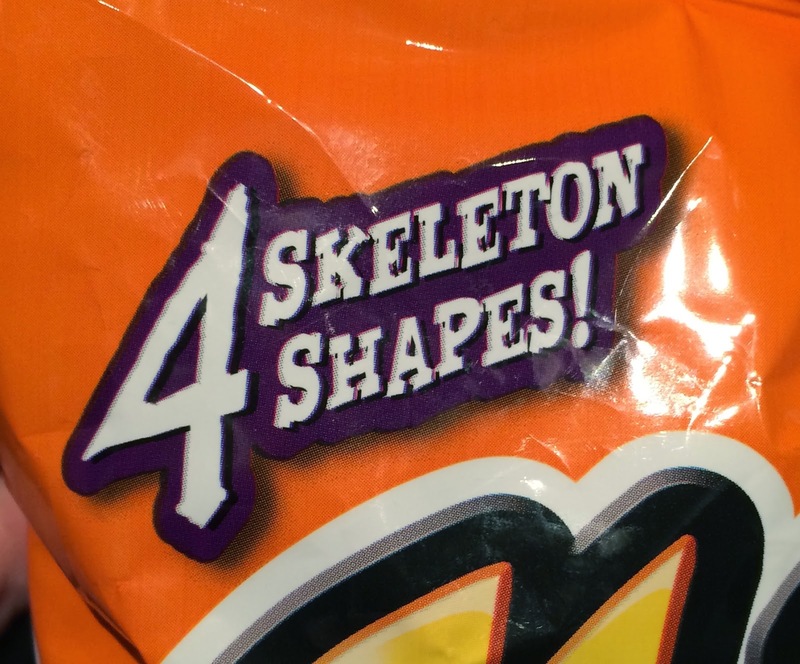 On the left top, "4 skeleton shapes!" 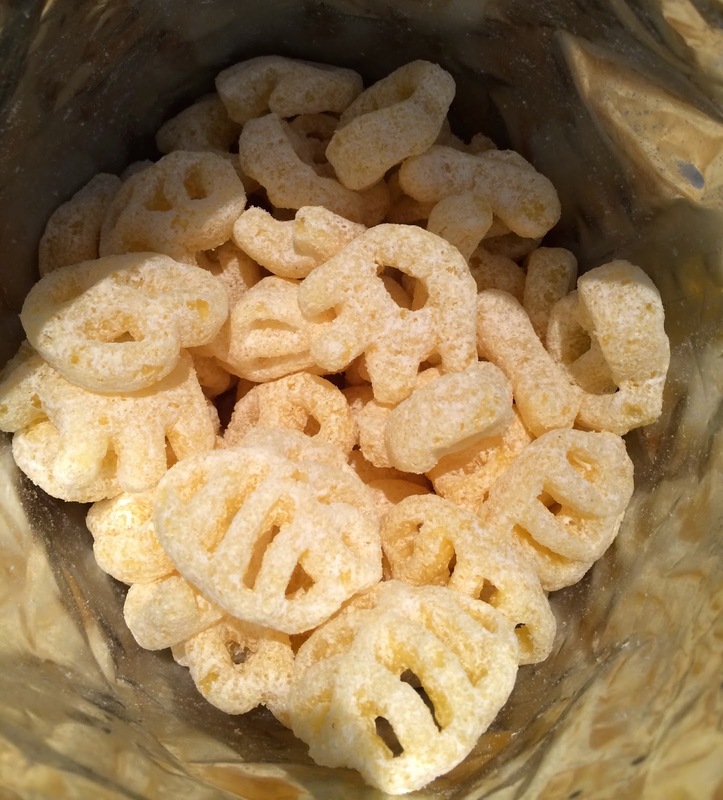 When I opened the bag, I smelled strong cheese flavor like regular Cheetos but the flavor was a little bit different from the orange powder ones. 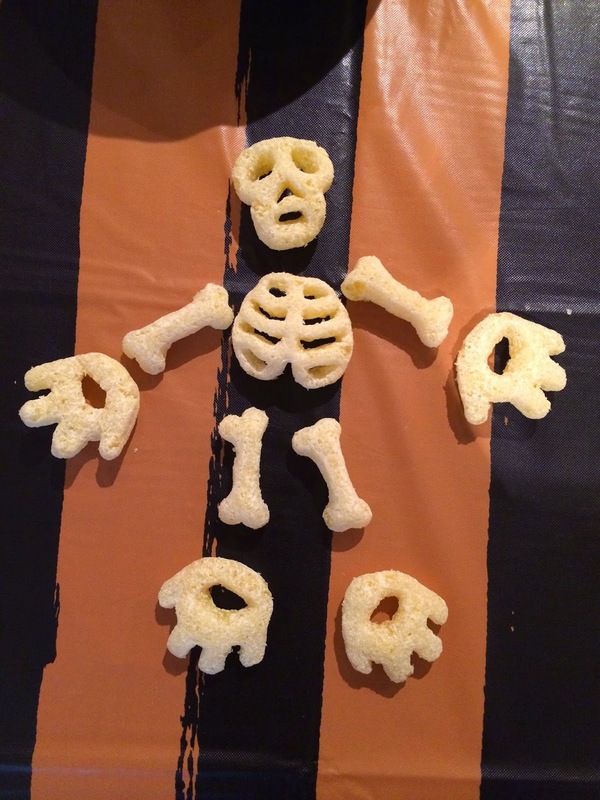 I followed the message on the back, I created a skeleton with 4 bone shaped Cheetos. With a skull, rib bone, skinny bones and hand/foot bones, I created a skeleton. Each piece was much larger than I thought and it's much larger than a quarter. It's also tall, about 1cm (0.4 inch), but it's very crispy and light so that it's easy to chew. I'm so used to the regular Cheetos' flavor, and first I felt the characteristic flavor of white cheddar cheese, but gradually my tongue and brain started liking it. 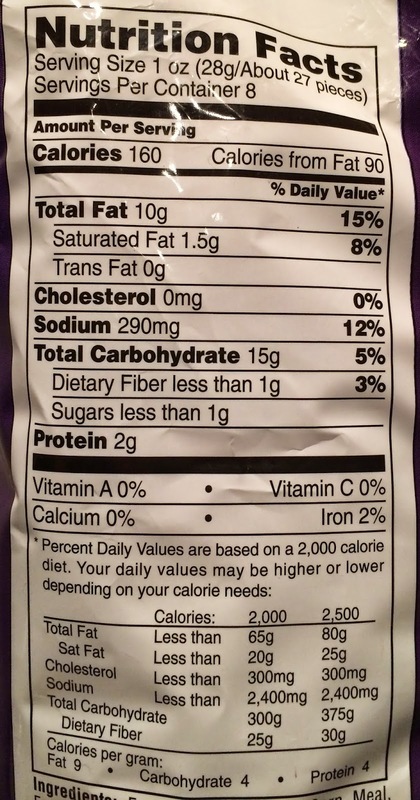 However, the crunchiness is less to compare with that of regular Cheetos and Baked! Cheetos.